The Village of North Syracuse offers all the modern amenities of contemporary life, founded upon a rich and diverse history. Established in the early 19th century, the region was called “Podunk” by the first group of settlers. To ease the journey of horse-drawn wagons, early residents of designed and constructed the first plank road in the U.S. in North Syracuse, NY. Opened to the public in 1846, this plank road extended 16 ½ miles from Syracuse to Central Square. A local company erected and operated four tollgates on the heavily travelled route, which brought a considerable profit. Now this avenue is a popular, modern road through North Syracuse. 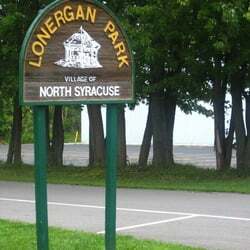 Locals and visitors can enjoy no less than five parks in the Village of North Syracuse: Lonergan, Sleeth, Heritage, Centerville and Kennedy Park. Picnics, sports games, walkers and joggers are always taking advantage of these open green areas. During the summer, catch a weekly music concert at Lonergan Park, or cheer the North Syracuse Little League team! Kennedy Park offers a large swimming pool, and many scenic trails wind through wooded Sleeth Park. When the North Syracuse weather isn’t ideal for outdoor fun, families can take shelter in Surf City, where there is mini-golf and plenty of amusement activities. If you’re a fan of Italian delicacies, North Syracuse won’t disappoint. Vince’s Gourmet Imports features a wide selection of cheese and pastas, specialized espresso items, and hand-painted Sicilian ceramics. 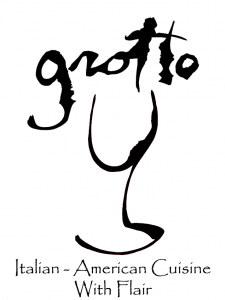 When you’re in the mood to eat out, the Grotto serves original Italian dishes with an ever-changing menu. Top off any evening with lively nightlife entertainment and unique flavor at the Full Boar Craft Brewery & Tap Room. This venue always features six home-crafted brews on tap, with live music on the weekends. For Top Eye Care Near North Syracuse, NY Visit Our Eye Doctor Today! Mondo Optical is proud to have offices in both Clay, located conveniently to serve the village of North Syracuse with exceptional eye care services! Dr. Anthony Mondo will perform precise vision testing and comprehensive eye exams, using cutting-edge technology and experienced skill. As a family-friendly practice, we will satisfy the ocular needs of all family members, from infants to seniors. With an eye on medical advances, we will provide the latest treatment for eye disease, such as macular degeneration, cataracts and glaucoma. If you suffer from an irritating condition, such as dry eye, we’ll help alleviate your discomfort. 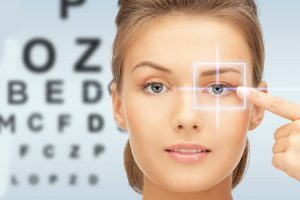 Eye injury or eye emergency? There’s no reason to run to the emergency room! We are qualified to treat many ocular complications; contact our eye care clinic for assistance. Crisp eyesight with eyeglasses or contact lenses depends upon making sure that you have the right eyewear for your visual requirements. Our opticians will help you sort through all of the designer frames in our incredible optical collection! We’ll make sure that your eyeglasses are ideal for your vision, enhance your natural beauty and suit your personal style! If you prefer the comfortable convenience of contact lenses, our North Syracuse optometrist will perform a professional contact lens fitting to determine the perfect type of lenses. No vision condition is too challenging – we specialize in hard-to-fit patients, such as keratoconus. Serving North Syracuse with crisp vision, we stock a full inventory of soft lenses, hard GP lenses, scleral and other specialty contacts.